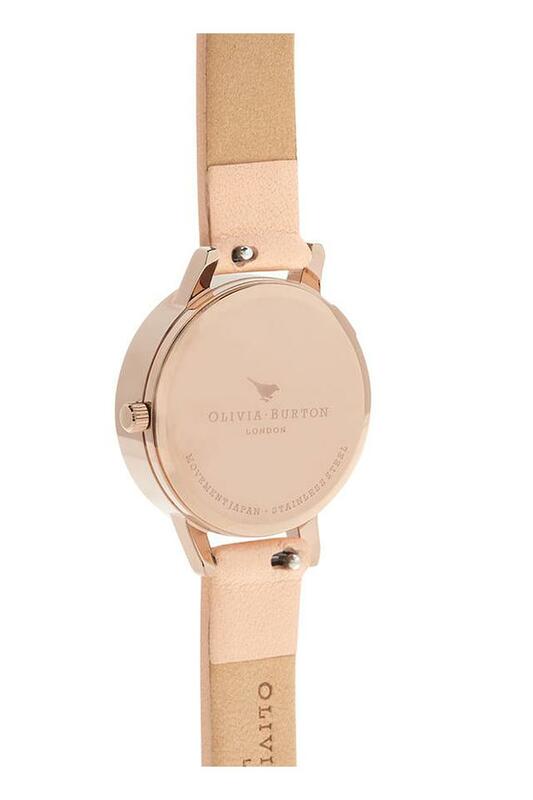 Elevate your style quotient by wearing this exquisite analogue watch that comes with a round dial. It also has a leather strap that further gives it a distinctive appeal. Additionally, the crown is for adjusting the time with ease. 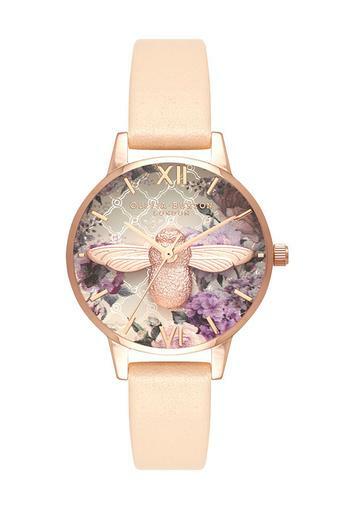 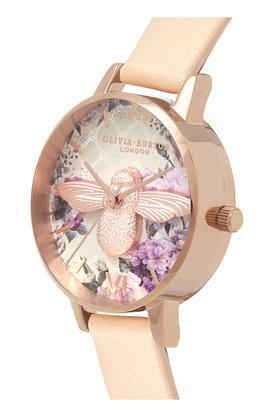 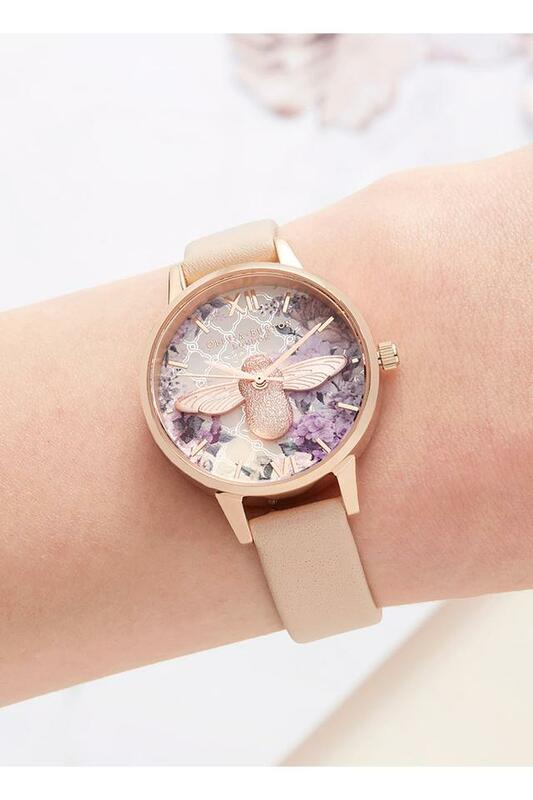 Go beyond the conventional by clubbing this Olivia Burton Floral Collection analogue watch with your casual wear.